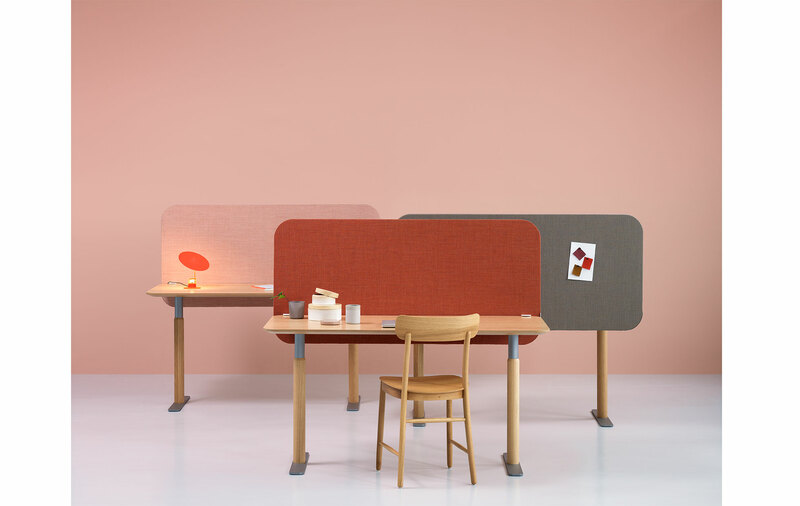 The Mezzo table screen has its sound absorber on the front surface. It has been developed for optimal noise reduction with a focus on design. Chipboard frame, with mineral wool filling and textile cover. Concealed seams on the inner edge.